Dr.Samuel Hahnemann (1755-1843), the founder of homeopathy, began his first homeopathic experiments in 1790 as a result of his disillusionment with the medical practice of the time which consisted of purging, bloodletting and the use of chemicals such as mercury. Hahnemann began a quest for a way to provide better health care. He developped the already existing law of similars with the South American tree-bark cinchonaand soon discovered that a infinitely small substance that produces in a healthy person specific symptoms will cure the same symptoms in a ill person. Epidemics first put homeopathy on the map. Homeopathic medicine was first used for a wide-scale epidemic in 1801 when Samuel Hahnemann MD, observed that a child who was being treated with a homeopathic preparation of belladonna resisted scarlet fever even though all three siblings were affected. Wondering whether the belladonna had acted prophylactically (preventively), Hahnemann began giving it to children in other families when the first ones fell ill, and he found it to be protective despite a 90% attack rate among the untreated. The method was accepted by the regular doctors and the Prussian government. Homeopathy had overwhelming popularity in the 1800s because of its unparalleled success in treating the various epidemic diseases such as cholera, yellow fever, typhoid and scarlet fever. Death rates were often one half to as little as one-eighth of those in orthodox hospitals. The practice of homeopathy may seem new to North America. In fact, the first organized medical society in the U. S. was the American Institute of Homeopathy, born in 1844, two years before the American Medical Association. Students of Hahnemenn founded the first homeopathic school in the US in the late 1800’s. In the early 1900’s, there were 22 schools of homeopathy, 100 homeopathic hospitals and over 1 000 homeopathic pharmacies in the U.S. Homeopathy was taught in Universities such as Boston University, Stanford University, and the New York Medical College. The decline of the popularity of homeopathy was due to the American Medical Association, and to the release of new drugs such as antibiotics and anesthetics that were easy to prescribe and administer. They required no individual research. The Montreal Homeopathic Hospital was founded in 1894 and later became the Queen Elizabeth health complex. Around the world, homeopathy has known a steady growth. Today, homeopathy is practiced in medical clinics and hospitals in more than 140 countries around the world. It is recognized by the World Health Organization as the secong most important medicine, and it is a popular post-graduate medical subject in Great-Britain. 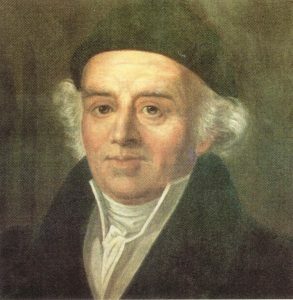 Since its very birth, homeopathy has always been put down by the American Medical Association and some groups of scientist and researchers who wish to discredit it, but as one of the judges of Hahnemann’s time said, if it is non efficient, it will die without anyone’s effort, but if it is efficient than it should survive for the people.” …And it will, no matter how hard some try to destroy it. Two hundred years later, it still stands.